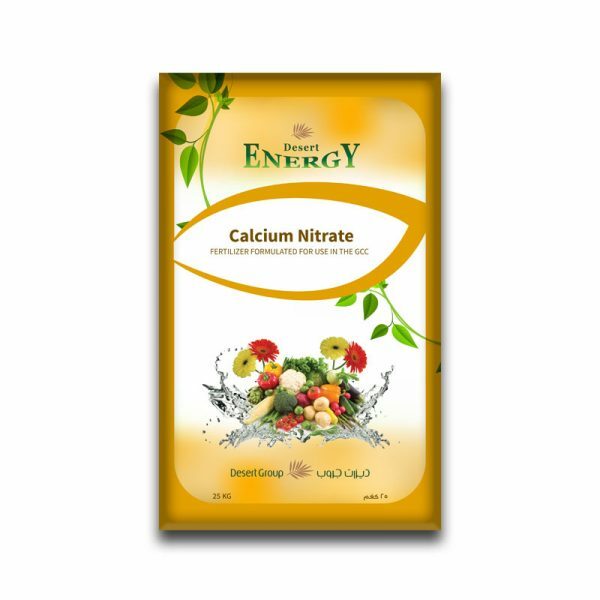 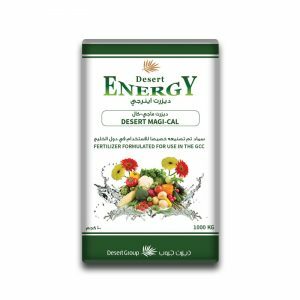 Desert Energy Calcium Nitrate made up of two nutrients, with a white appearance that dissolves quickly in water and can be absorbed rapidly by plants. It is a perfect combination of nitrogen in nitrate form that rapidly dissolves in water and calcium. 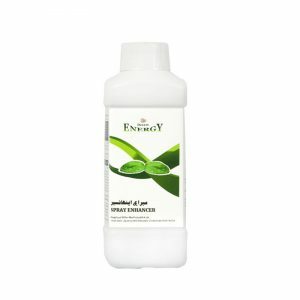 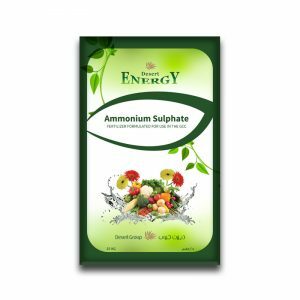 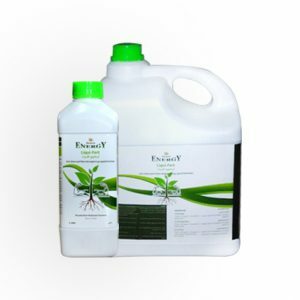 Is very useful in crops like lettuce, spinach, cabbage, tomato, cucumber and capsicum, also it’s applied very well in Turf, forages and Pastures.